Car keys are the key to independence. They do more than turn on the engine — they turn on the spirit of adventure, the feeling of freedom, the security of engagement at will. From an adolescent’s anticipation of obtaining driving privileges to an elderly person’s dread of surrendering the car keys, motor vehicles are a central component of the American experience, both emotional and physical. America’s love affair with the motor vehicle is easy to trace through statistics: In 1899, there were 8,000 motor vehicles in the United States; by 1910, there were a half-million; and in 2014 almost 253 million vehicles rolled across more than 4 million miles of roads between our borders. While it’s hard to quantify the enjoyment and convenience of our vehicles when everything goes right in our travels, it is unfortunately easier to quantify the consequences when something goes wrong. Almost 33,000 people died in motor vehicle accidents in the U.S. in 2013; 465 of those deaths occurred on Maryland roads. Another 2.3 million were injured in U.S. traffic accidents that year. How can something that feels so right go so wrong? Many accidents happen because of what we might view as external forces — weather conditions, road hazards like construction zones, mechanical defects, and so forth. Many accidents occur because of choices made by drivers — drinking and driving, being distracted by electronic devices, speeding, driving beyond the point of exhaustion. Driving is a symbolic rite of passage for both adolescents and seniors, each for their own reasons. Similarly, safety research illustrates that the peculiar characteristics of both of these demographic groups increase the risk of accidents… again, each in its own way. 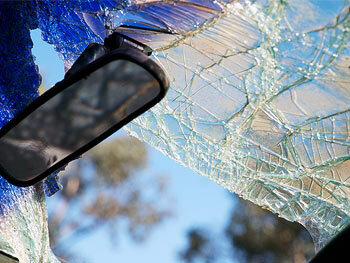 Per capita crash rates begin to increase at about age 70, according to the Insurance Institute for Highway Safety. It would be unwise to generalize and say that all older drivers are dangerous on the road. Still, it’s not unusual for some abilities necessary for safe driving to be impaired by advancing age. Visual impairment may keep a senior from seeing a hazardous situation up ahead or to the side. Motor skills may be affected by arthritis or similar ailments. Reaction times are usually slower, and stressful maneuvers like merging or changing lanes may cause an otherwise confident person to be nervous and hesitant, creating a danger for others on the road. Many older adults suffer from chronic medical conditions for which they take medications, often multiple medications, and many of these can have an impact on driving ability. Benzodiazepines, for example, which are typically prescribed for anxiety and insomnia, have side effects which are potentially impairing. Likewise, some over-the-counter medications can cause dizziness, blurred vision, and inability to concentrate or make good decisions. Even in its early stages, dementia can cause a driver to get lost or become confused. The most common driving error among seniors is failure to yield the right of way, either because they don’t see the other vehicle or because they misjudge whether they have time to safely proceed. Intersection crashes account for 35 percent of the crashes involving drivers 80 and over, compared to 18 percent for those in the 20-49 age group. Generally, the older we become, the worse our driving skills become. There are 3 fatal traffic accidents every day involving people over 85 years of age. Only teenagers have a higher rate of motor vehicle accidents than seniors. At the other end of the spectrum… lacking in age and experience, teens make fatal mistakes, leading this age group to have triple the risk of dying in a car crash as that of drivers over 20. In 2013, motor vehicle crashes were the leading cause of death among American males and females aged 13-19. Motor vehicle injuries cause the death of 7 teens aged 16 to 19 each day. Less experience behind the wheel is not the only factor that increases the risk for teen drivers. Often they are impetuous, more likely to speed and to tailgate other vehicles. Distractions like text messaging and the presence of other teenaged passengers increase the risk of accidents. The temptation to engage in risky behavior extends to things like failure to wear seat belts and drinking while driving. In 2012, 23% of drivers aged 15-20 who were involved in fatal car accidents were drinking alcohol. These actions are not necessarily just a result of making bad choices. Just as the physical effects of advancing age can impact the abilities of older drivers, so can the physical condition of adolescence have an effect on young people’s behavior behind the wheel. In early adolescence, the prefrontal cortex, which helps with weighing alternatives, calculating risks and making complex decisions, is still developing. In fact, the brain continues to mature into the mid-20s. There is also more dopamine activity in teens, which can lead to pleasure-seeking activities, such as speeding. That these two segments of our driving population have such different attributes and yet are both at high risk of traffic accidents is one reason highway safety is such a complex problem to tackle. State and federal governments, non-profits, consumer groups, manufacturers, educators, pediatricians and gerontologists… all of these and more are engaged in enhancing safe travel for everyone on the road — from toddlers to centenarians. Driving Policies & Practices: All states have adopted some form of graduated licensing for teens, allowing them to practice and gain experience under supervision and with restrictions on night driving and carrying teen passengers. While no state restricts older drivers based on age alone, sometimes they may be subject to evaluations based on doctor or court referral. Advanced vehicle technologies help drivers of all ages. Electronic stability control, crash avoidance and automatic braking systems, and adaptive headlights are a few of the innovations that are effective in reducing fatal crash risks. The Family Factor: And, of course, the families of teens as well as senior drivers play a critical role in reducing the likelihood that their loved one will be involved in a serious accident. For their offspring, parents are mentors; for their aging parents, they need to be monitors. These vulnerable drivers, at both ends of the driving age spectrum, need to be observed and counseled. For both groups, it may be that an outside person will be able to make a positive influence — young drivers benefit tremendously from drivers-ed courses, school-based or private; senior drivers may respect the input of a physician, pastor or therapist. We’re reminded of the saying, “Vee get too soon oldt und too late schmart!” But it’s never too late to at least form the objective of helping ourselves and others become better, safer drivers.